When it comes to the Green Race, there’s really only one rule—get down the run as fast as you can. 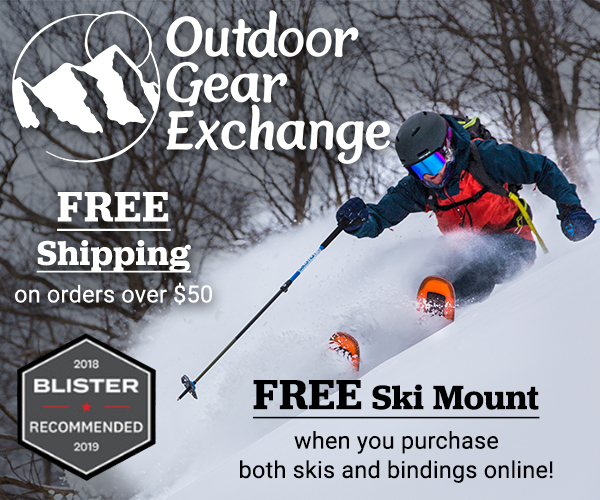 Every year for the last 18 years, top pro paddlers from around the world, Asheville locals, and even a few Olympic Slalom racers have congregated at the Green in North Carolina to test their mettle. 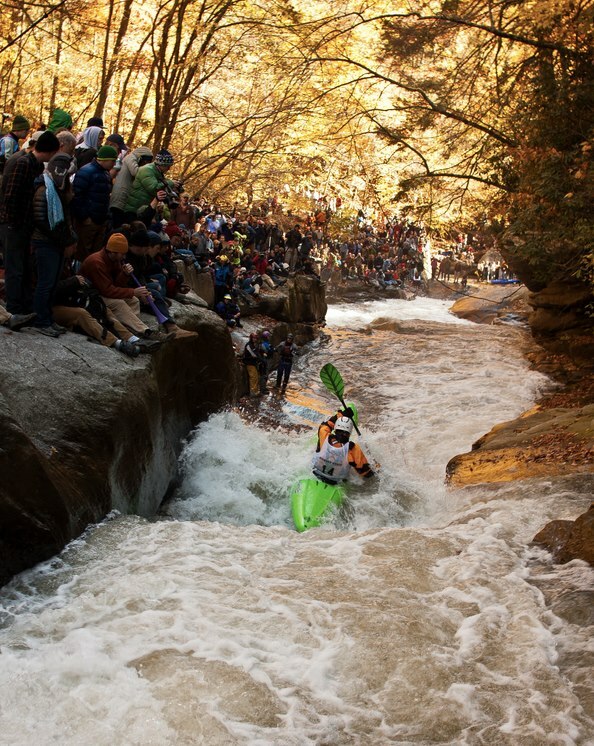 In many ways, this event has become one of the most prestigious races in whitewater kayaking. And it’s both famous and infamous. If you grew up obsessively watching LVM videos like I did, you’ve seen a million shots of Gorilla, Go Left, Zwicks, and Powerslide. Last Saturday’s race was won by southeast local and pro paddler Pat Keller, now a four-time champ, who came in a full six seconds ahead of the young legend Dane Jackson. French paddler Eric Deguil, who comes from a slalom racing background, finished just one second behind Jackson. We caught up with Shane Benedict, the designer at LiquidLogic kayaks since 2000, after this year’s Green Race. The Asheville local is as familiar as anyone with the now 18-year-old event—he even participated in the very first Green Race in 1996, where he placed second. We talked with Shane about what makes this race unique, its history, and how it has influenced modern day longboat designs. 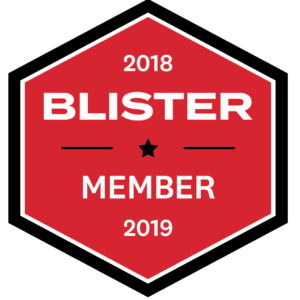 BLISTER: How did the Green Race go this year? Shane: The Green Race went spectacularly this year. The water level was absolutely perfect, the weather was as good as could be imagined, and we had blue skies pretty much throughout the day. As I said, the water level was pretty much ideal. There was still a bit of extra natural flow left so we had a bit of buffer padding stuff out, but it wasn’t as high as last year when it got a little chaotic for some of the paddlers. So the carnage content was a little lower, the lines were a lot cleaner, but still super fast and plenty exciting for racers and spectators. I’d say overall, it was a magical confluence of factors for this race. 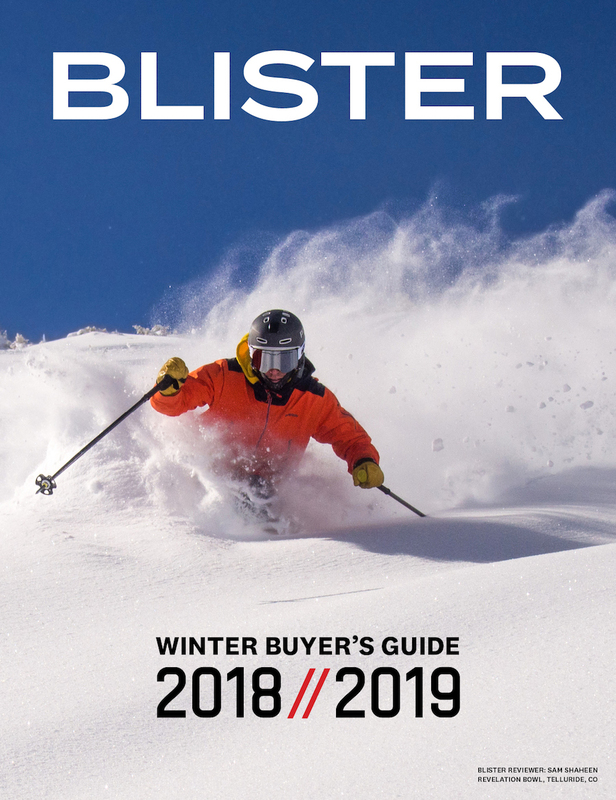 BLISTER: This is the 18th year of the Green Race. What’s the same, what’s different, and how have things evolved? As we kept going, the numbers grew and we went through some growing pains figuring out what we wanted to do with the event. Did we want to take on big sponsors and commercialize it? I think the folks running the event did a great thing keeping it low key and managing it as a grassroots local event. BLISTER: So there aren’t any major sponsors or prizes, which makes it different from other elite races. Why has it still blown up to the level that it has and why has the longboat class dominated the event? Shane: Well, there has always only been one rule and really only one winner. 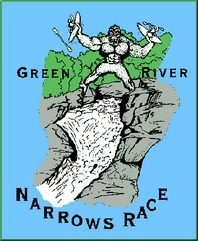 The whole race is based on whoever gets down the river the fastest—other than that, there are no rules. And so that dictated that we use the longest boat we thought we could get down the river. Back then we were paddling 11- and 12-foot boats like Dancers, Jetties, Corsicas, and all that stuff. My first year, I was paddling an Overflow X. The long boats were a part of the race to begin with, and because we kept that mentality, short boats were always a secondary part of the race. It’s always been about who is fastest down the river. The classes have been pumped up a little bit just because people want to have other ways to feel motivation, but the Green Race has always been about the long boats. It was a natural breeding ground for people to start thinking about longboat design to maximize speed on a specific run. And because of the concentration of paddlers and boat companies here around Ashville, it made it a pretty obvious sort of lab, or petri dish. Confluence is just down the hill, Pyranha distribution is here, LiquidLogic is right on the Green, and so many paddlers are based here because of readily available class IV and easy V on the Green where they can train all year with consistent water. And then we have a race that is continuing to grow, so it make sense that we would, at the very least, make garage versions of long boats to try to go faster. BLISTER: Just this year, LiquidLogic began producing and selling the Stinger longboat to consumers and retailers. What role did the Green Race play in the impetus for the boat and its design? Shane: Dagger had actually come out with a long boat prototype the year before, and our team guys were paddling Prijon Tornados. So I made a garage version of a longboat for the next year that was super bare bones. Over the years, I kept evolving that design little by little toward what it is now. 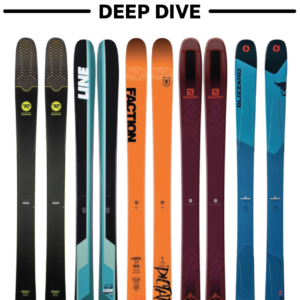 Eventually it got to a point where all the racers, including Olympians like Mike Dawson and Vavra were saying, “Dude, this boat is awesome and you’ve gotta make it.” So we decided that, rather than continuing to spend a whole lot of money on prototype molds, we might as well buy a real mold. And that boat, the Stinger, is all about racing the Green. 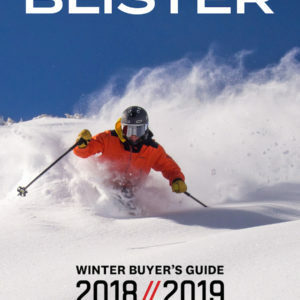 BLISTER: How is it that a race becomes so important that multiple major boat companies are producing boats specifically to put their athletes on top? Shane: It’s really up to an individual to create the impetus to design a boat like that. Pat Keller put in the work to make the Green Boat happen for Dagger, and I worked hard to make the race boat happen for LiquidLogic. 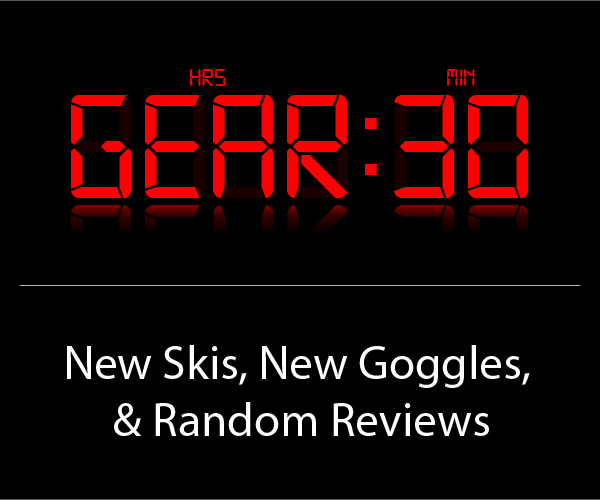 Robert Pearson pushed for Wavesport to make one. We are all from here, we’re all local, so it’s important to each of us. One week of the year—Green Race week—is like Christmas for us. The week of the Green Race is as important as anything, and we are imbedded in that culture, so it seems easy for us to make these boats. Pyranha doesn’t have a long boat, but they’re from England! BLISTER: What about for a customer who isn’t a racer, or a racer on the Green. How do these new boats fit with the everyday boater’s quiver? Shane: This is your cruiser, your speed downriver boat. The way I always explain it is that if you started paddling in the last 10 years you don’t even know what speed feels like. It’s as if you’ve never paddled a play boat. It’s a way of paddling you don’t understand yet. When I was a kid, I would paddle wildwater, slalom, and OC1. The style here in the southeast, which is influenced heavily by the Green, is speed. People like to paddle down the Green fast and to get into a flow. Flow is emphasized even more by a faster boat, and you can see that in the way people paddle around here—moving as a team really quickly and directly down the river. That’s not to say people don’t stop to play and goof off, but I think long boats fit that overall style whether you are on the Green or the Chatooga or the Tallulah. BLISTER: It also seems like longer boats are becoming a popular boat for people doing long self-supports. Shane: Yeah, that’s true. The multi-day thing is a very popular concept with these boats. We’re going to take some on our annual Grand Canyon trip this winter. We even put a hatch and a skeg on it just like our Remix XP series. That’s a big deal, and it’s already become a popular boat because it is a long boat with speed and you have the capacity to carry 12 day’s worth of stuff. A lot of video and safety boaters are also interested in these boats because they need to move fast and keep up with their trips from day to day.